Click here for a sample of ANC018. Your lover has departed on the 501 and her return is merely a blip of recognition from dime-store binoculars. You are lost in some sea and that blip might be land, island, archipelago, or it may just be a blip of no consequence: A gull plankton-diving. The tail of a fish trying to fly. A young man loses his partner’s heart to Africa, and his days to chronicling the minutiae of their lives together and apart. As he ruminates upon Pamela’s absence, concerns trivial and significant—lentils and hair ties, his sponsored Tanzanian child, art and literature, Copernicus, the nature of dreams—enter into his periphery. Left alone in the sheep-in-wolves-clothing city of X, he tirelessly scans the horizon for her return or at least some semblance of substance to pass the time until she does. 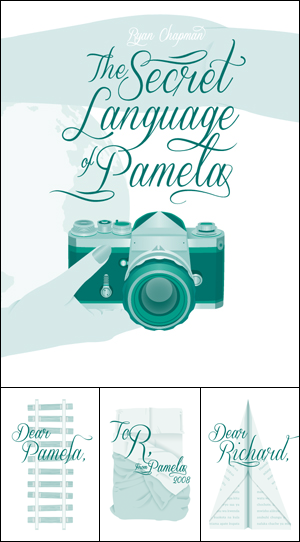 Our most sizeable release to date, Ryan Chapman’s epistolary collection of poetry, The Secret Language of Pamela, deftly navigates between the personal and universal sense of longing. ANC018 is out of print.